THE STORY OF THE RESEARCH FOR A NEW TREATMENT OF CANCER, DEGENERATIVE DISEASES AND IN REGENERATION OF TISSUES. The paradigm of complexity and some aspects of theory of information, of linguistics and of semiology are fundamental in understanding the process of cancerogenesis and in determining the correct therapeutic approach to tumoral diseases. To go into these problems in more depth way I have to ask you to be patient and to follow the mental processes and the experiments that I made. At the beginning of 1982…. At the beginning of 1982 I studied the relationship between the agents that cause cancer, mutations and malformations and focused my attention on some of the data of literature, that showed how carcinogens administrated during pregnancy had had different effects. The administration of carcinogens before or during organogenesis causes in fact a high rate of malformations in offspring, but no tumor induction. Once organogenesis is complete the frequency of tumor induction rises with a concomitant decrease in the rate of malformations. The question was why these different effects take place ? During organogenesis all processes of cell differentiation take place and they could stop the action of factors which cause cancer. Some malformations of tissues and organs are possible but these tissues and organs are made up of differentiated cells. During organogenesis some substances with regulatory properties are perhaps present to prevent the indiscriminate multiplication of cells. These regulators are able to differentiate the mutated stem cells. Could these regulators control the multiplication of tumor cells? 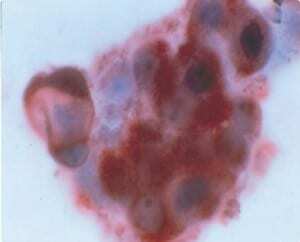 Were tumor cells similar to mutated stem cells? In order to answer to these questions some experiments were carried out. Here we summarize now several researches conducted over the past 35 years in vitro as well as in vivo and finally clinical studies on cases of hepatocellular carcinoma at intermediate-advanced stage having administered factors extracted during stem cells differentiating processes. Lastly, we report recent experiments that showed that stem cells differentiating factors (SCDFs) are able to prevent neurodegenerative processes in mouse hippocampus cell line and to significantly ameliorate psoriasis. Based on the hypothesis that the development of cancer is actively inhibited during embryonic life, the effects on tumor growth of homogenates of different tissues (embryos, uteri at ninth day of pregnancy, non-pregnant uteri and normal liver) were investigated in syngeneic C57BL/6 female mice. Primary tumor growth and spontaneous pulmonary metastasis formation were completely suppressed in the group of mice treated with pregnant uteri homogenates. Embryos, non-pregnant uteri and normal liver homogenates were ineffective. Click here to see: Effects of treatment with embryonic and uterine tissue homogenates on Lewis lung carcinoma development. 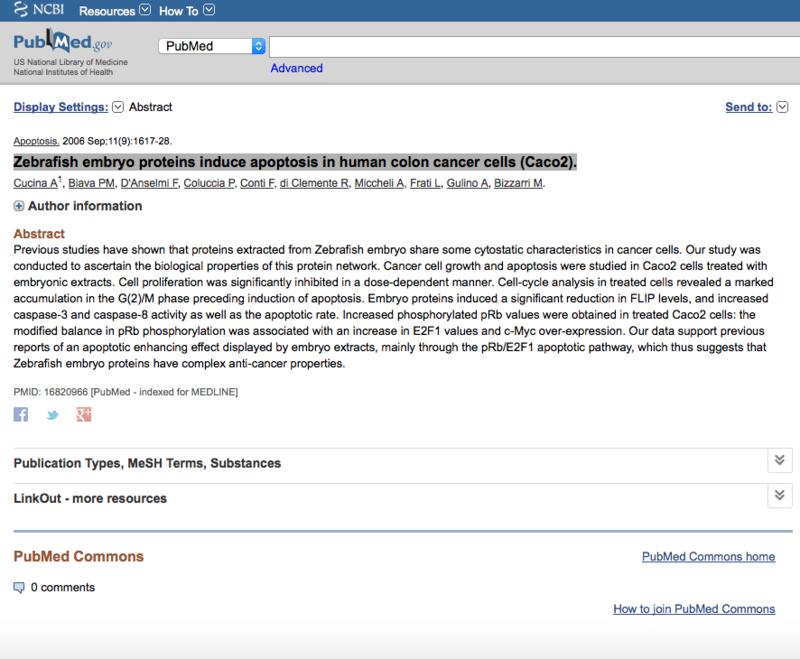 Activation of anti-oncogene p53 produced by embryonic extracts in vitro tumor cells. Five tumor cell lines of different origin (glioblastoma, melanoma, kidney adenocarcinoma, breast carcinoma and lymphoblastic leukemia) were treated in vitro with the extracts from zebrafish embryos collected at four different developmental stages. All cell lines responded with a significant slowing of the proliferation when treated with the extracts taken during the stages of cell differentiation, while no slowing effect was observed when they were treated with the extract taken from a merely multiplicative stage. These results suggest that a complex network of molecular factors during embryo differentiation may help abnormally proliferating cells to normalize their cycle, and that the administration of embryonic cell differentiation factors may be a useful tool in cancer therapy. On the other hand, it is known that the stem cells can be differentiated into different types of cells in relationship to different kinds of embryonic microenvironment. Since this network of cell differentiation factors may normalize the altered expression of genes, we suggest it as a sort of physiological gene therapy. Still in 2001 : Xenopus laevis embryos share antigens with zebrafish embryos and with human malignant neoplasms. Previous experiments have demonstrated that antigens present in Xenopus laevis embryos are shared with human malignant neoplasms. In fact it is known that antisera raised in rabbit against pellet and supernatant fractions of Xenopus laevis embryos react to different antigens present in human tumors. The aim of the the present study was to evaluate whether these antisera react also to different antigens contained in zebrafish embryos at different stages of cell differentiation. This was done with the agar-gel immunodiffusion method performed according to an already described protocol. The results that we obtained show that both antisera raised in against pellet and supernatant fractions of Xenopus laevis embryos react to antigens of zebrafish at different stages of cell differentiation. Previous experiments have demonstrated that antigens present in Xenopus laevis embryos are shared with human malignant neoplasms. In fact it is known that antisera raised in rabbit against pellet and supernatant fraction of Xenopus laevis embryos react to different antigens present in human tumors. The aim of the present study was to evaluate whether these antisera react also to different antigens contained in zebrafish embryos at different stages of cell differentiation. This was done with the agar-gel immunodiffusion method performed according to an already described protocol. The results that we obtained show that both antisera raised in rabbit against pellet and supernatant fractions of Xenopus laevis embryos react to antigens of zebrafish at different stages of cell differentiation. The antigens in the supernatant fraction are probably different from those in the pellet fraction. Antisera raised against the pellet fraction react with carbohydrate antigens.2 The nature of the antigens in the supernatant is not known yet. These previous results suggested that Xenopus laevis ambryos may contain an “oncodevelopmental” carbohydrate re-expressed in human tumors and that Xenopus may be an useful source for tumor associated antigens of human malignant tumors. It may be that the antigens of Xenopus laevis embryos are preserved during phylogeny and that they are shared with other different embryos. The aim of the present study is to evaluate if the antisera raised in rabbit to the pellet and supernatant fractions of Xenopus laevis embryos react with antigens of zebrafish embryos at different stages of cell differentiation. The embryos of zebrafish at the stages of middle-blastula-gastrula, 5 somites, 20 somites were washed in distilled water and placed in a solution of pure glycerol and 30% of ethanol at a 4:1 ratio. The embryos were sonicated with 2 cycles of 10 seconds each and further treated with a turboemulsifier. 35 microliters of these solutions were used in an agar-gel immunodiffusion test. The methods of preparation of antisera raised in rabbit to pellet and supernatant fractions of Xenopus laevis embryos have already been described.1,2 A solution of 1 gram of agar-gel diluted in 40 ml. of distilled water and in 10 ml. of TBE (Tris Boric acid EDTA) was put in a plastic support. The lyophilized antisera were resuspended in 500 microliters of distilled water and 35 microliters of this solution were distributed in different wells of agar gel. 35 microliters of extracts of zebrafih at different stages of cell differentiation were put in different wells, in front of the antisera at a distance of 1 cm. The agar-gel with antisera and embryonic extracts were incubated for 24 hours at 22 degrees centigrade. The agar gel was stained with Coomassie Blue for 15 minutes, then washed with distilled water and finally destained in a solution composed by 10% acetic, 45% ethanol, 45,% distilled water. The results that we obtained show that both antisera raised in rabbit to pellet and supernatant fraction of Xenopus laevis embryos react to antigens of zebrafish at the three stage of cell differentiation. In fact the Fig. 1, Fig.2 and Fig.3 show that the antigens of zebrafish embryos at the stages of 50% of epiboly, 5 somites, 20 somites react with antisera R750-1 raised in rabbit to supernatant (part A of the figure) and with antisera R755-1 raised in rabbit to pellet (part B). These results suggest that Xenopus laevis embryos share antigens with zebrafish embryos. These antigens are conserved during phylogeny. They are expressed in the zebrafish embryo since the beginning of cell differentiation and are present until last organogenesis. These antigens are more expressed at the end than at the beginning of organogenesis, as the results illustrated in Fig. 3 show in comparison with the results of the Fig. 1 and 2. In any case, these antigens shared with different species of embryos are re-expressed in different human tumors as already described. Tumor cells re-express several others “oncodevelopmental” antigens in addition to those described from us. For this reason, tumor cells can be considered as mutated embryonic cells, in which “gene configurations” are similar to those present in embryo during the steps of multiplication comprised between two stages of cell differentiation. This hypothesis has been already put forward in previous reports.3,4,5,6,7,8 On the other hand, tumor cell genome is normally affected by a dramatically high number of altered genes, most of which playing an important role in normal embryo development. In fact, during tumorigenesis some embryonic genes are activated or mutated, leading the cell to an uncontrolled multiplication program. Many substances present in embryo during organogenesis are able to reduce tumor growth in vitro or in vivo, because they regulate some important genes that control cell differentiation and multiplication.5,7 In fact, our previous works demonstrated that substances present in embryo during cell differentiation are able to reduce tumor growth in vivo4 and to activate the tumor suppressor p53 in different tumor cell lines in vitro.5 Other works led to the same hypothesis: in fact the transplantation of teratocarcinoma cells into the mouse blastocyst origins normal chimeric mice, since the teratocarcinoma cells are led to differentiate in various kinds of tissues9 Otherwise, the transplantation of embryonic stem cells in mice origins teratocarcinomas.10 Our results suggest that Xenopus laevis and zebrafish embryos may be an useful source for tumor associated antigens of human malignant tumors. 1. 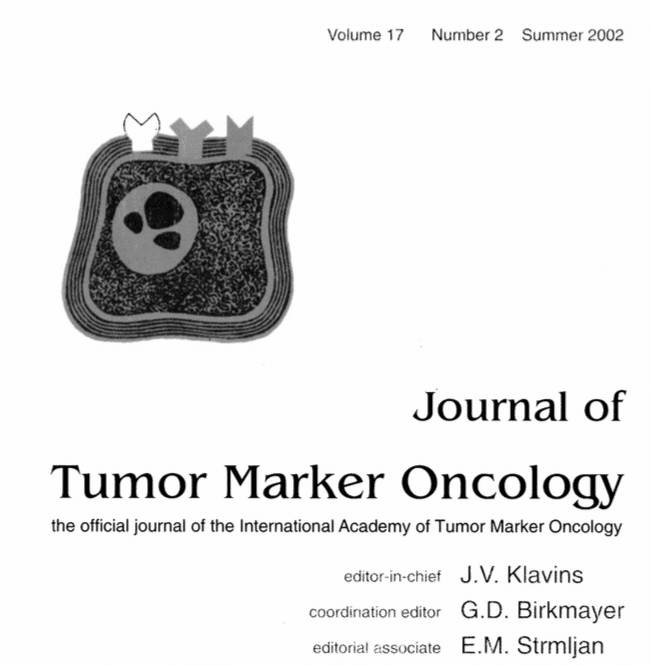 Klavins J. V., Sell S., Fuchs A.
J.Tumor Marker Oncol. 11/2: 36 (1996). 2.  Zhang S., Sell S., Livingston P.O., Klavins J. V.
J. Tumor Marker Oncol. 12(2):52(1997). Mariani M. Cancer Lett. 41: 265-270 (1988). 4. Biava P. M., Carluccio A. 5. 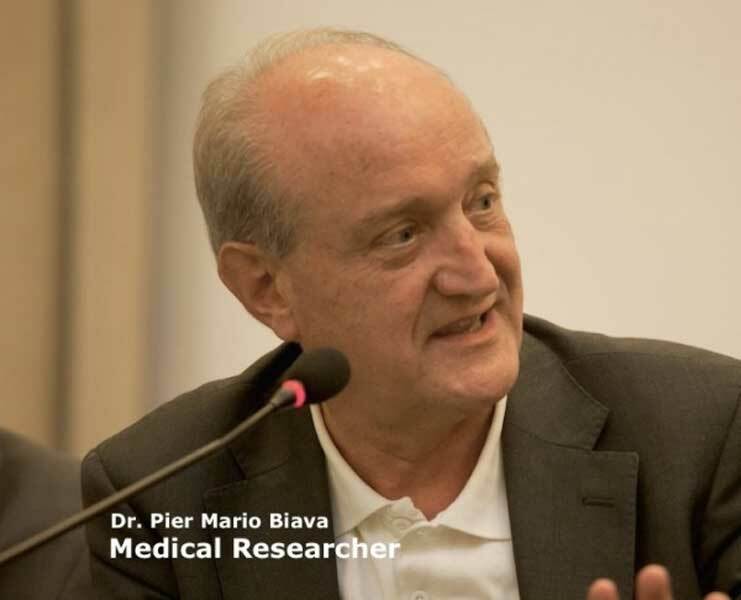 Biava P.M., Carluccio A.
J. Tumor Marker One. 12,4: 9-15 (1997). Complessita e cancro. Leadership Medica – Anno XV. 1- (1999). 7. Biava P. M. Bonsignorio D.
J. Tumor Marker Onc. 17-59-64 (2002). Stewart T. A., Mintz B. 10. Reubinoff B. E. et al. Nat. Biotechnol. 18(4) : 399-404 (2000). Cell Proliferation is affected by factors that are found in embryos and in pregnant uteri. This factors are organized in a network wohse complexity should be unscattered to retain its full efficacy. This is particulary true for embryos whose complex of molecular factors represents a closed microenviroment that can normalize the behavior of abnormously growing cell populations via a regulatory process involving key-role proteins of cell cycle homeostasis. To read more, please download: Cancer and cell differentiation: a model to explain malignancy. During pregnancy, a close cross-talk between mother and developing embryo is formed, made of a complex network of circulating molecular factors. 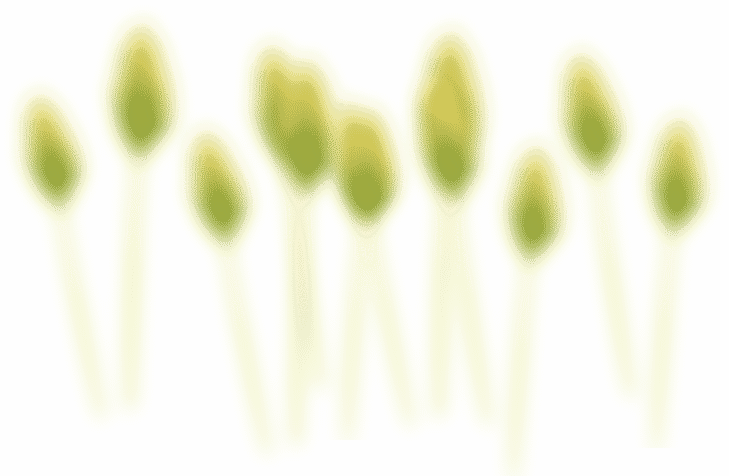 This cross-talk is necessary for the prevention of pregnancy-threatening events, including the establishment of abnormally proliferating cell clones which may damage the integrity of this cross-talk. Dwnload: Mother-embryo cross-talk: the anti-cancer substances produced by mother and embryo during cell differentiation. Tumor cells share several key-role features with embryonic cells. Tumor development is reduced or even suppressed in embryos during early differentiation processes suggest that factors present in the developing embryo may effect tumor growth. Experiments carried out in our lab showed that treatment of several tumor cell lines with embryonic and/or pregnant uteri homogenates inhibits tumor growth both in vitro and in vivo. It is possible to activate the p53 onco-suppressor after treatment with embryonic extracts on different tumor cells. The evidence that embryonic factors of cell differentiation can be used as a physiological gene therapy of cancer constituted the objective basis to prepare a therapy to test in human cancer. As a result, different products containing specific embryonic differentiation factors were prepared. There is no standard treatment for patients with advanced hepatocellular carcinoma (HCC). We developed a product containing stem cells differentiation stage factors (SCDSF) that inhibits tumor growth in vivo and in vitro. The aim of this open randomized study was to assess its efficacy in patients with HCC not suitable for resection, transplantation, ablation therapy, or arterial chemoembolization. A total of 179 consecutive patients were enrolled. We randomly assigned the patients to receive either SCDSF or only conservative treatment. Primary end points were tumor response and survival. Secondary end points were performance status and patient tolerance. Randomization was stopped at the second interim analysis (6 months) of the first 32 patients recruited when the inspection detected a significant difference in favor of treatment (p = 0.037). The responses to the therapy obtained in 154 additional patients confirmed previous results. Evaluation of survival showed a significant difference between the group of patients who responded to treatment versus the group with progression of disease (p < 0.001). Of the 23 treated patients with a performance status (PS) of 1, 19 changed to 0. The study indicated the efficacy of SCDSF treatment of the patients with intermediate-advanced HCC. Previous studies have shown that proteins extracted from Zebrafish embryo share some cytostatic characteristics in cancer cells. Our study was conducted to ascertain the biological properties of this protein network. 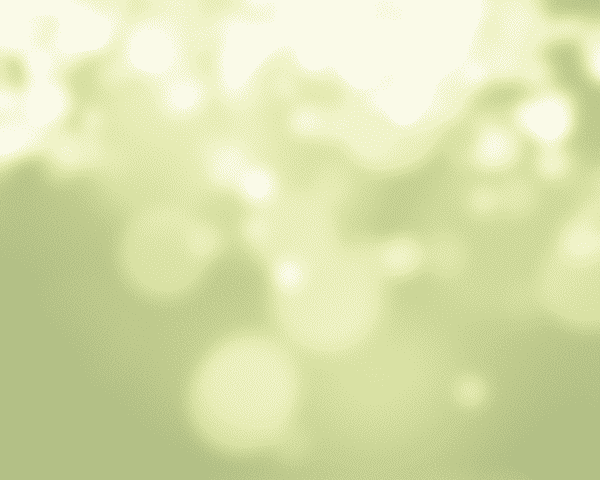 Cancer cell growth and apoptosis were studied in Caco2 cells treated with embryonic extracts. Cell proliferation was significantly inhibited in a dose-dependent manner. Cell-cycle analysis in treated cells revealed a marked accumulation in the G(2)/M phase preceding induction of apoptosis. Embryo proteins induced a significant reduction in FLIP levels, and increased caspase-3 and caspase-8 activity as well as the apoptotic rate. Increased phosphorylated pRb values were obtained in treated Caco2 cells: the modified balance in pRb phosphorylation was associated with an increase in E2F1 values and c-Myc over-expression. 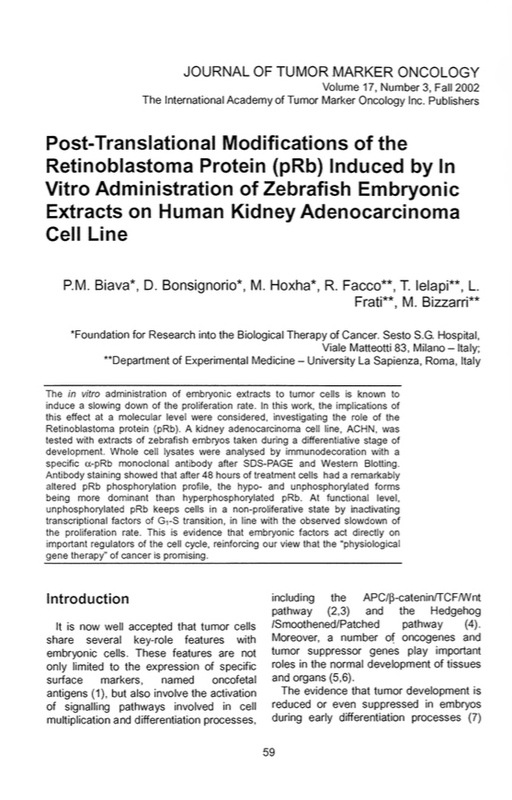 Our data support previous reports of an apoptotic enhancing effect displayed by embryo extracts, mainly through the pRb/E2F1 apoptotic pathway, which thus suggests that Zebrafish embryo proteins have complex anti-cancer properties. Zebrafish embryo proteins induce apoptosis in human colon cancer cells (Caco2). Cucina A1, Biava PM, D’Anselmi F, Coluccia P, Conti F, di Clemente R, Miccheli A, Frati L, Gulino A, Bizzarri M.
As can be seen from the table emerges a powerful synergistic activity in the association of Differentiation factors with Fluorouracil. Over the last decade there has been an exponential rise in our understanding of the biochemical mechanisms controlling cell proliferation and differentiation. While the four transcription factors Oct4, Sox2, Klf4 and cMyc have shown to be sufficient to induce pluripotency in fibroblasts, there has in addition been much research into the mechanisms and pathways of cell differentiation and the specific properties of stem cells, namely their plasticity and capacity for trans-differentiation. Over the last decade there has been an exponential rise in our understanding of the biochemical mechanisms controlling cell proliferation and differentiation. While the four transcription factors Oct4, Sox2, Klf4 and cMyc have shown to be sufficient to induce pluripotency in fibroblasts, there has in addition been much research into the mechanisms and pathways of cell differentiation and the specific properties of stem cells, namely their plasticity and capacity for trans-differentiation. These studies have allowed progress at very fundamental level, with the prospect of further progress – until recent years quite unimaginable – in the field of reparative, regenerative and transplant medicine. In fact, from the present time, the genetic engineering production of regulatory factors identified through such research, has allowed the production of new tissues and a new category of cell therapy products, in which the main biological action is carried out by cells or tissues, albeit in the presence of organic or inorganic matrices or coatings. Examples of this type of product are anti-tumor vaccines, in vitro cultivated skin, products made of structural and cellular elements for the reconstruction of bones, cartilages, teeth, etc. From the best, most analytical and detailed characterization of stem cells, then, it has become clear that some tumor cell behaviors – that have a crucial role in determining their malignity – can be attributed to the presence of cells with characteristics similar to those of stem cells. The field of cancer research is consequently also witnessing a surge in studies designed to identify the metabolic pathways common to tumor and stem cells. This will in turn cast light on which micro-environment factors can direct these pathways towards differentiation and induce cancerous cells to behave less aggressively. 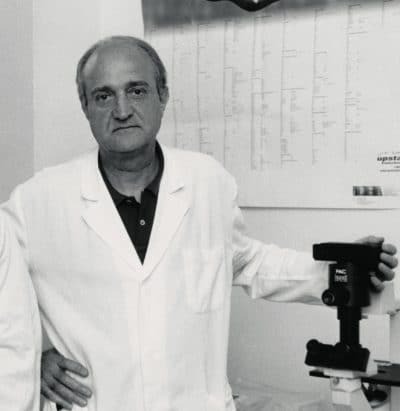 From this point of view, over recent years there has been a lively return to studies that were very significant in the 70’s and 80’s, on the role of the embryonic micro-environment in conditioning tumor cell behavior towards normal phenotypes. This research is now underway, and will in all probability lead to important results over the next few years. Against this background, this special issue on “Reprogramming of normal and cancer stem cells” focuses on research in terms of conditioning the fate of normal and tumor stem cells with a view to new prospects for therapies. The issue therefore begins with articles covering the possibility of reprogramming normal stem cells, including through use of biomaterials, and goes on to consider what characteristics of tumor stem cells can allow them to be identified and studied. This is followed by a series of further articles illustrating the role of the micro-environment in conditioning the fate of a tumor cell. A number of metabolic pathways characterizing and common to both stem and tumor cells are examined, in order to gain a better understanding of the possibilities of conditioning the fate of both cell types; in addition, the role played by infectious and inflammatory diseases in the genesis of tumor diseases is also considered. Today, in fact, we know that inflammatory processes can support rather than hinder tumor growth, and also that pro-inflammatory cytokines can promote tumor proliferation, inhibiting the cell pathways that are able to block the neoplastic growth. 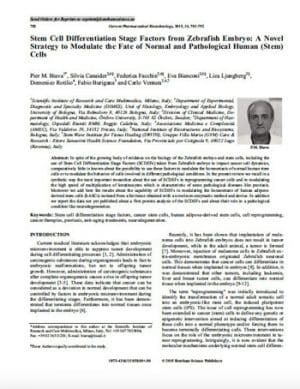 The special issue goes on with a series of articles taking a close look at the specific role played by the micro-environment in conditioning the destiny of the tumor stem cells present in some tumors, for example breast and retinoblastoma tumor, and the role played by the use of normal stem cells in treating disorders such as hematological diseases. One article also considers the risks run by some reprogramming techniques: for example, creating embryo cells via parthenogenesis can give rise to tumors. The issue continues with various articles illustrating in close detail the role of the embryonic micro-environment in conditioning the destiny of tumor cells. In this context, one review takes a look at general aspects, while others consider aspects that can help clarify the mechanisms underlying the capacity of factors of this type of microenvironment to reprogram a tumor cell. 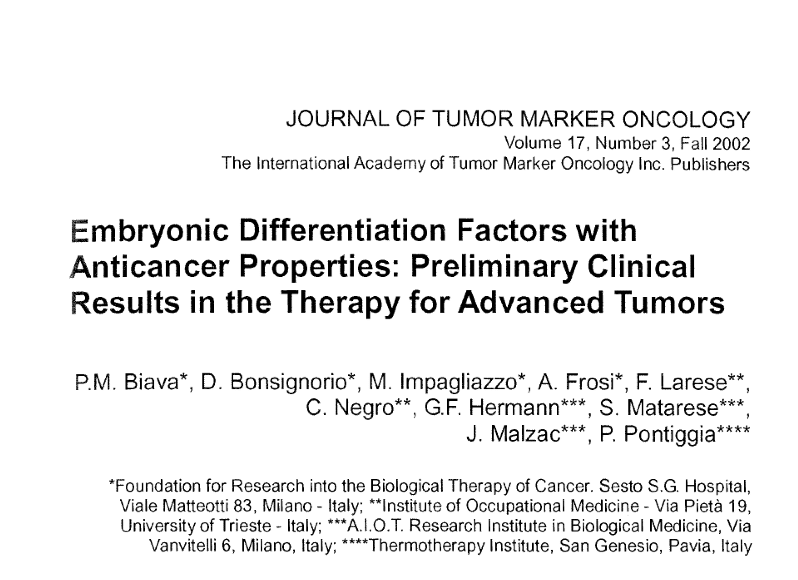 One mathematical model sets out from a description of the state of cell differentiation, making use of existing data from studies of tumor growth slowing, linked to the use of such factors, with the goal of shedding light on aspects such as fitness, dosage, and administration time for the differentiation factors on improvement in tumor inhibitory response. 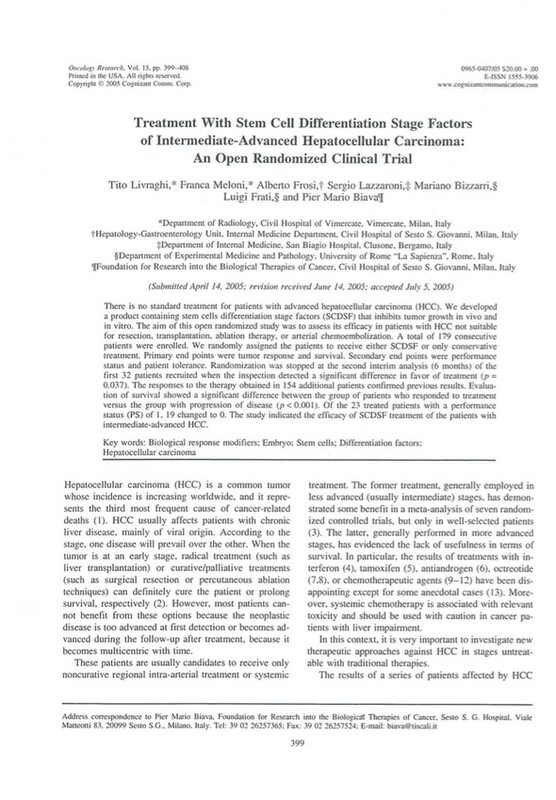 Other articles illustrate a number of clinical cases of full regression of hepatocellular carcinomas in intermediate-advanced stages observed following administration of stem cell differentiation factors, and describe the molecular mechanisms that might explain these inhibitory responses on the tumor growth. It should be noted that the randomized and controlled clinical studies launched to date using stem cell differentiation factors are limited to patients with intermediate-advanced stage of hepatocellular carcinomas where other therapies were no longer possible. These factors are at present used only for hepatocellular carcinomas, since it has been demonstrated that substances capable of slowing one tumor’s growth may be inefficacious for another type. Finally, it is important to note that research into the possibility of reprogramming normal and tumor stem cells requires a complex approach to the issue. In fact, the problem requires the study of networks of substances and genes involved in the reprogramming phase, demanding skills in a variety of different areas of research, not simply of medical/biological, but also mathematical/ computational and modeling, in view of the complexity and non-linearity of the processes being studied. A paradigm shift is underway, and the future will witness our engagement in increasing numbers of scientific studies requiring cross-disciplinary skills. 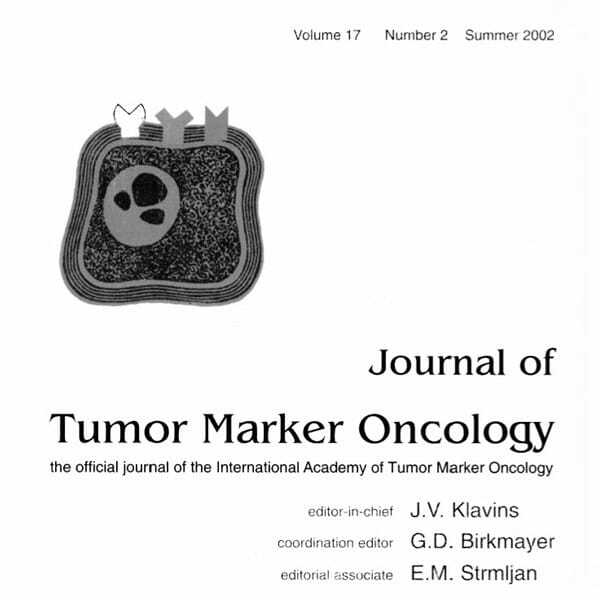 The new paradigm and the new ideas were well understood many years ago by Professor John Klavins, who has been for a long time President of the International Academy of Tumor Marker Oncology. 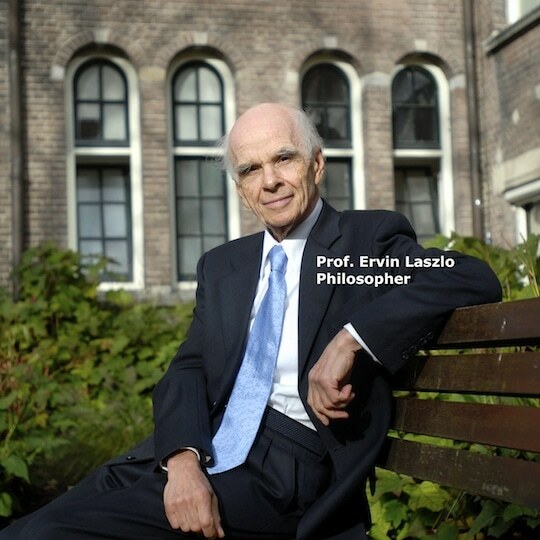 Professor Klavins has always sustained my studies on reprogramming cancer cells, though the possibility of controlling tumor growth by using reprogramming factors was not considered realistic at the time I began studying it. I wish to dedicate this work to my friend John Klavins.  Many thanks to Roberta Zorovini and Silvia Cefalo from Smile Tech srl, via Valdirivo 19 Trieste, Italy ([email protected]), for their accurate and thorough work as organizing and editing secretariat. Still in 2011 : Cancer cell reprogramming: stem cell differentiation stage factors and an agent based model to optimize cancer treatment. Curr. Phar. Biotechnol. The recent tumor research has lead scientists to recognize the central role played by cancer stem cells in sustaining malignancy and chemo-resistance. A model of cancer presented by one of us describes the mechanisms that give rise to the different kinds of cancer stem-like cells and the role of these cells in cancer diseases. The model implies a shift in the conceptualization of the disease from reductionism to complexity theory. By exploiting the link between the agent-based simulation technique and the theory of complexity, the medical view is here translated into a corresponding computational model. The recent tumor research has lead scientists to recognize the central role played by cancer stem cells in sustaining malignancy and chemo-resistance. A model of cancer presented by one of us describes the mechanisms that give rise to the different kinds of cancer stem-like cells and the role of these cells in cancer diseases. The model implies a shift in the conceptualization of the disease from reductionism to complexity theory. By exploiting the link between the agent-based simulation technique and the theory of complexity, the medical view is here translated into a corresponding computational model. Two main categories of agents characterize the model, 1) cancer stem-like cells and 2) stem cell differentiation stage factors. Cancer cells agents are then distinguished based on the differentiation stage associated with the malignancy. Differentiation factors interact with cancer cells and then, with varying degrees of fitness, induce differentiation or cause apoptosis. The model inputs are then fitted to experimental data and numerical simulations carried out. By performing virtual experiments on the model’s choice variables a decision-maker (physician) can obtains insights on the progression of the disease and on the effects of a choice of administration frequency and or dose. The model also paves the way to future research, whose perspectives are discussed. Still in 2011 : Embryonic morphogenetic field induces phenotypic reversion in cancer cells. Curr. Phar. Biotechnol. Cancer cells introduced into developing embryos can be committed to a complete reversion of their malignant phenotype. It is unlikely that such effects could be ascribed to only few molecular components interacting according to a simple linear-dynamics model, and they claim against the somatic mutation theory of cancer. Some 50 years ago, Needham and Waddington speculated that cancer represents an escape from morphogenetic field like those which guide embryonic development. Indeed, disruption of the morphogenetic field of a tissue can promote the onset as well as the progression of cancer. On the other hand, placing tumor cells into a “normal” morphogenetic field – like that of an embryonic tissue – one can reverse malignant phenotype, “reprogramming” tumor into normal cells. View abstract: Embryonic morphogenetic field induces phenotypic reversion in cancer cells. Curr. Phar. Biotechnol. Cancer cells introduced into developing embryos can be committed to a complete reversion of their malignant phenotype. It is unlikely that such effects could be ascribed to only few molecular components interacting according to a simple linear-dynamics model, and they claim against the somatic mutation theory of cancer. Some 50 years ago, Needham and Waddington speculated that cancer represents an escape from morphogenetic field like those which guide embryonic development. Indeed, disruption of the morphogenetic field of a tissue can promote the onset as well as the progression of cancer. On the other hand, placing tumor cells into a “normal” morphogenetic field – like that of an embryonic tissue – one can reverse malignant phenotype, “reprogramming” tumor into normal cells. According to the theoretical framework provided by the thermodynamics of dissipative systems, morphogenetic fields could be considered as distinct attractors, to which cell behaviors are converging. Cancer-attractors are likely positioned somewhat close to embryonic-attractors. Indeed, tumors share several morphological and ultra-structural features with embryonic cells. The recovering of an “embryonic-like” cell shape might enable the gene regulatory network to reactivate embryonic programs, and consequently to express antigenic and biochemical embryonic characters. This condition confers to cancer an unusual sensitivity to embryonic regulatory cues. Thus, it is not surprising that cancer cells exposed to specific embryonic morphogenetic fields undergoes significant modifications, eventually leading to a complete phenotypic reversion. Zebrafish stem cell differentiation stage factors suppress Bcl-xL release and enhance 5-Fu-mediated apoptosis in colon cancer cells. Stem cell differentiation stage factors (SCDSF), taken from Zebrafish embryos during the stage in which totipotent stem cells are differentiating into pluripotent stem cells, have been shown to inhibit proliferation and induce apoptosis in colon tumors. In order to ascertain if these embryonic factors could synergistically/additively interact with 5-Fluorouracil (5-Fu), whole cell-count, flow-cytometry analysis and apoptotic parameters were recorded in human colon cancer cells (Caco2) treated with Zebrafish stem cell differentiation stage factors (SCDSF 3 µg/ml) in association or not with 5-Fu in the sub-pharmacological therapeutic range (0.01 mg/ml). Cell proliferation was significantly reduced by SCDSF, meanwhile SCDSF+5-Fu leads to an almost complete growth-inhibition. SCDSF produces a significant apoptotic effect, meanwhile the association with 5-FU leads to an enhanced additive apoptotic rate at both 24 and 72 hrs. View abstract: Zebrafish stem cell differentiation stage factors suppress Bcl-xL release and enhance 5-Fu-mediated apoptosis in colon cancer cells. Stem cell differentiation stage factors (SCDSF), taken from Zebrafish embryos during the stage in which totipotent stem cells are differentiating into pluripotent stem cells, have been shown to inhibit proliferation and induce apoptosis in colon tumors. In order to ascertain if these embryonic factors could synergistically/additively interact with 5-Fluorouracil (5-Fu), whole cell-count, flow-cytometry analysis and apoptotic parameters were recorded in human colon cancer cells (Caco2) treated with Zebrafish stem cell differentiation stage factors (SCDSF 3 µg/ml) in association or not with 5-Fu in the sub-pharmacological therapeutic range (0.01 mg/ml). Cell proliferation was significantly reduced by SCDSF, meanwhile SCDSF+5-Fu leads to an almost complete growth-inhibition. SCDSF produces a significant apoptotic effect, meanwhile the association with 5-FU leads to an enhanced additive apoptotic rate at both 24 and 72 hrs. SCDSF alone and in association with 5-Fu trigger both the extrinsic and the intrinsic apoptotic pathways, activating caspase-8, -3 and -7. SCDSF and 5-Fu alone exerted opposite effects on Bax and Bcl-xL proteins, meanwhile SCDSF+5-Fu induced an almost complete suppression of Bcl-xL release and a dramatic increase in the Bax/Bcl-xL ratio. These data suggest that zebrafish embryo factors could improve chemotherapy efficacy by reducing anti-apoptotic proteins involved in drug-resistance processes. The zebrafish embryo derivative affects cell viability of epidermal cells: a possible role in the treatment of psoriasis. 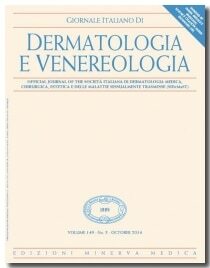 In patients affected by psoriasis, use of a topical formula containing a derivative of zebrafish embryos was associated with reduced skin inflammation and dermal turnover, as well as a generally better outcome. In an attempt to understand the molecular mechanisms lying beyond these findings, we investigated the anti-proliferative effects of the zebrafish embryos derivative by addressing the mitochondrial function (MTT assay) and cell nuclei distribution (Hoestch staining). In cell cultures stimulated with fetal calf serum (FCS) or epidermal growth factor (EGF), the zebrafish derivative significantly inhibited cell proliferation induced by either approach, although the effect was stronger in cells stimulated with FCS. These results suggest that the zebrafish embryos derivative may dampen increased cell proliferation; this observation may be relevant to cutaneous pathologies related to altered proliferative mechanisms, including psoriasis. View abstract: The zebrafish embryo derivative affects cell viability of epidermal cells: a possible role in the treatment of psoriasis. The present crisis of the Western countries involves not just the world of politics, finance, and the economy, but also the ecosystem balance, the world of the values on which the model of social organization and economic development is based. The crisis is therefore systemic, epoch-making, and overcoming it will require radical changes, above all in the way we think, in our scale of values, and therefore our culture. On the other hand, for decades the world—in particular the West—has been experiencing a cultural sea-change that is challenging many of the pillars of society that have stood for centuries. The young people of today and their use of technological social networks to develop non-profit initiatives for social change may create a more positive future while maintaining our human values. A systemic approach to cancer treatment: tumor cell reprogramming focused on endocrine-related cancers. The term “cancer cell reprogramming” is used to define any kind of intervention aimed at transforming cancer cells into terminally differentiated cells. Using this approach, new technologies have been applied with different methods for a more systemic approach to cancer treatment. This review reports on advances of these technologies, including our personal contributions, mainly carried out on endocrine-related cancers. 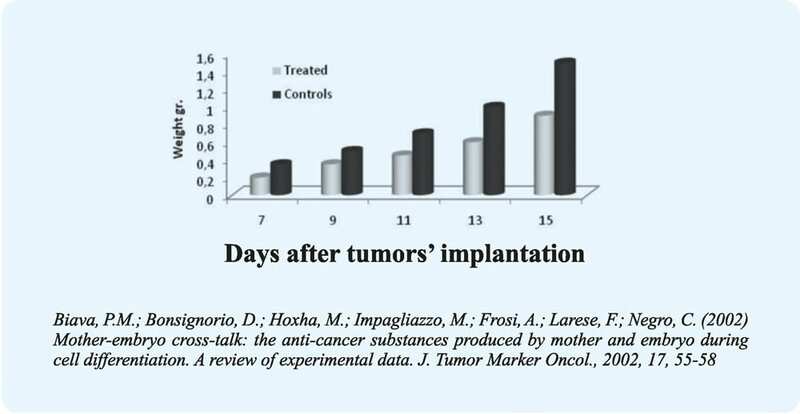 Some of the interventions, aimed at reverting cancer cells into a normal phenotype, are based on the evidence that tumor development is suppressed by the embryonic microenvironment. On the basis of this rationale, experiments have been conducted using stem cell differentiation stage factors (SCDSFs) taken at different stages of development of Zebrafish embryos, oocyte extracts, or naïve human umbilical cord matrix derived stem cells (UMDSCs). 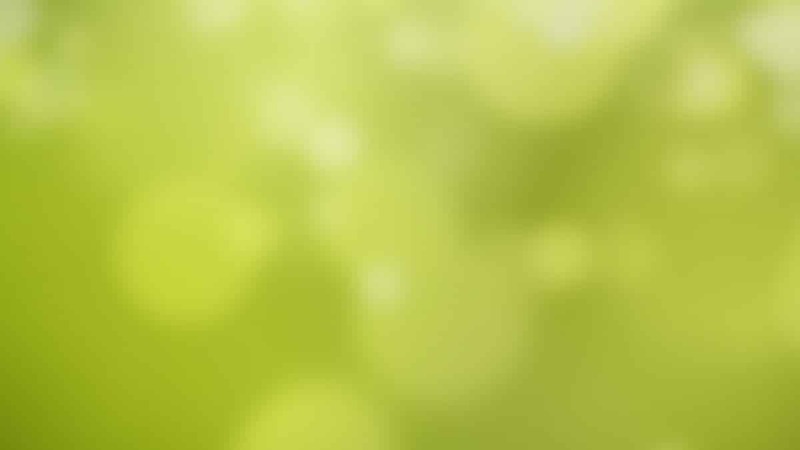 View abstract: A systemic approach to cancer treatment: tumor cell reprogramming focused on endocrine-related cancers. The term “cancer cell reprogramming” is used to define any kind of intervention aimed at transforming cancer cells into terminally differentiated cells. Using this approach, new technologies have been applied with different methods for a more systemic approach to cancer treatment. This review reports on advances of these technologies, including our personal contributions, mainly carried out on endocrine-related cancers. Some of the interventions, aimed at reverting cancer cells into a normal phenotype, are based on the evidence that tumor development is suppressed by the embryonic microenvironment. On the basis of this rationale, experiments have been conducted using stem cell differentiation stage factors (SCDSFs) taken at different stages of development of Zebrafish embryos, oocyte extracts, or naïve human umbilical cord matrix derived stem cells (UMDSCs). SCDSFs induce significant growth inhibition on different tumor cell lines in vitro, likely because of increases in cell cycle regulatory molecules, such as p53 and pRb. Treatment with these factors activates apoptosis and differentiation related to caspase-3. This is achieved via p73 apoptotic-dependent pathway activation with a concurrent normalization of the E-cadherin and beta-catenin ratio.  Extracts from prophase amphibian oocytes could reprogram relevant epigenetic alterations in MCF-7 and HCC1954 breast cancer cell lines, while un-engineered (naïve) human UMDSCs attenuated growth of MDA-231 human breast carcinoma cells. 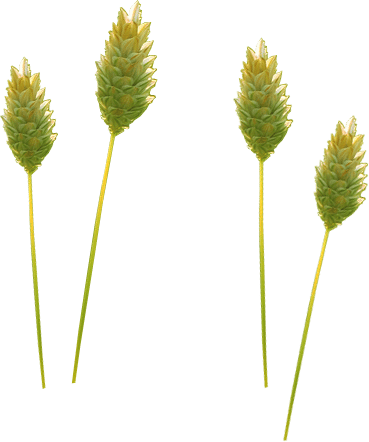 A product prepared for human treatments, containing SCDSFs at very low doses, yielded favorable results in breast cancer and in intermediate-advanced hepatocellular carcinoma. Other reprogramming interventions used in the models of breast, prostate and ovarian cancer cell lines are described. Finally, current and future perspectives of this novel technology are discussed and a new hallmark of cancer is suggested: the loss of differentiation of cancer cells. Changing the endocrine dependence of breast cancer: data and hypotheses. Among the most common human cancers, often only breast and prostate cancers have advantage of hormone dependence. For a long time, this advantage permitted breast cancer to be efficaciously managed in the adjuvant and metastatic settings with low side effects by endocrine therapy. Unfortunately, soon or afterward hormone dependence is lost in most patients. In breast cancer, de novo or acquired hormone resistance is an hot issue and the focus of endless debate. Although a lack of oestrogen receptors (ERs) is considered to be the main reason for de novo hormone resistance, many studies have been conducted and many different mechanisms have been hypothesised to account for acquired hormone resistance. View abstract: Changing the endocrine dependence of breast cancer: data and hypotheses. Among the most common human cancers, often only breast and prostate cancers have advantage of hormone dependence. For a long time, this advantage permitted breast cancer to be efficaciously managed in the adjuvant and metastatic settings with low side effects by endocrine therapy. Unfortunately, soon or afterward hormone dependence is lost in most patients. In breast cancer, de novo or acquired hormone resistance is an hot issue and the focus of endless debate. Although a lack of oestrogen receptors (ERs) is considered to be the main reason for de novo hormone resistance, many studies have been conducted and many different mechanisms have been hypothesised to account for acquired hormone resistance. Thus far, hormone resistance appears to be occasionally delayed or avoided in “in vivo” experiments. However, this finding did not have a significant benefit in current clinical practice. The principal aim of this review article is to sum up and update the issue of changing the endocrine dependence of breast cancer. Recent molecular insights extensively elucidating and shedding new light on this very controversial issue are considered. Moreover, based on our recent reports, a new mechanistic interpretation of and a therapeutic approach for overcome hormone resistance are proposed. The role of neuroendocrine cells in prostate cancer: a comprehensive review of current literature and subsequent rationale to broaden and integrate current treatment modalities. Neuroendocrine prostate carcinoma (NE-PCa) is a heterogeneous disease. Due to a high prevalence of NE (neuroendocrine) differentiation in patients who receive prolonged androgen deprivation treatment, the real incidence of NE-PCa remains unknown. Similarly, the biological steps from prostate carcinoma (PCa) toward NE differentiation are far less than definitive and, consequently, there is a lack of evidence to support any of the treatments as the “gold standard”. View abstract: The role of neuroendocrine cells in prostate cancer: a comprehensive review of current literature and subsequent rationale to broaden and integrate current treatment modalities. A systematic literature search was conducted using the PubMed, Scopus, and Embase databases to identify original articles and review articles regarding NE-PCa . Keywords were “prostate cancer” and “neuroendocrine”. 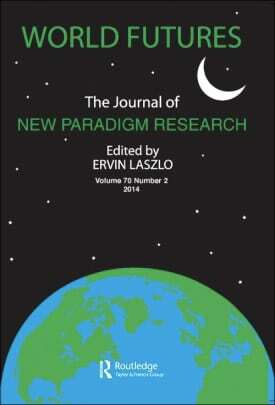 Articles published between 1995 and 2013, were reviewed and selected with the consensus of all of the authors. Fifty-one articles were selected by the authors for the purpose of this review. The principle findings were reported into some subsections: Epidemiology, Biological steps of NE differentiation (with some principle articles on animal and in vitro, since there is very little in the literature on human studies); for the treatment options, we had to expand the search on PubMed to a larger timeframe and selection since very little was specifically found in the first criteria: surgery, radiotherapy, ablative techniques, immunomodulation and epigenetic therapy were then reviewed. A multidisciplinary approach, advocated by many authors, although promising, has failed to demonstrate increased survival rates. Limitations of this review include the lack of a clear definition of NE-PCa and consequently, the lack of strong evidence provided by a large series with long-term follow-up. Supported from this extensive review, we propose it is worthwhile to investigate a new multimodal therapeutic approach to address advanced NE-PCa starting from a debulking (with radical intent) of the disease plus epigenetic therapy with stem cell differentiation stage factors (SCDSFs). In addition immunotherapy can be used to treat the cancer presenting phenotype in association with chemomodulation plus ablative therapies, in case of advanced or recurrent diseases. SCDSFs may be utilized to regulate cancer stem cells and possible new phenotypes could also be associated with ablative therapies. Hormonal deprivation, radiotherapy, chemotherapy, ex vivo vaccines and targeted therapies could also be used and reserved in case of failure. BACKGROUND: Zebrafish exhibits extraordinary ability for tissue regeneration. Despite growing investigations dissecting the molecular underpinning of such regenerative potential, little is known about the possibility to use the chemical inventory of the zebrafish embryo to modulate human stem cell dynamics. 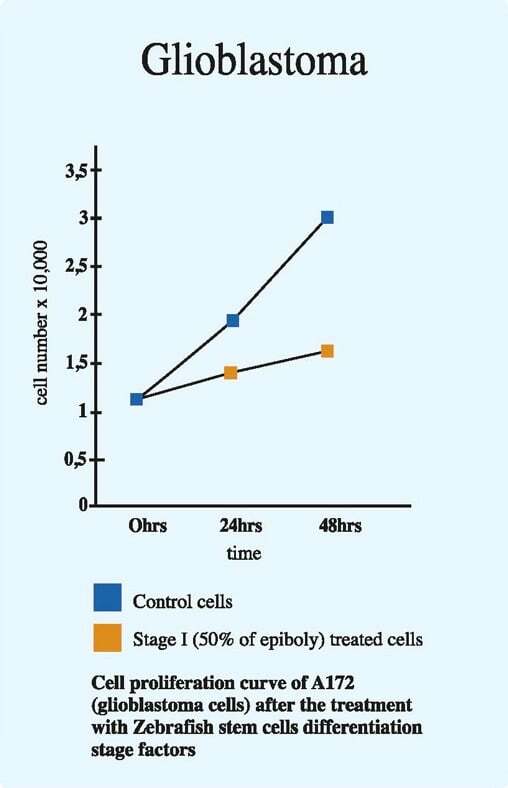 RESULTS: Late developmental stage extracts decreased cell viability and elicited caspase-3 mediated apoptosis. This effect did not involve Bax or Bcl-2 transcription. Conversely, early developmental stage ZF1 did not affect cell viability or apoptosis, albeit increasing Bax/Bcl-2 mRNA ratio. ZF1 enhanced transcription of the stemness/pluripotency genes Oct-4, Sox-2 and c-Myc. ZF1 also induced the transcription of TERT, encoding the catalytic subunit of telomerase, as well as the gene expression of Bmi-1, a chromatin remodeler acting as a major telomerase-independent repressor of senescence. These transcriptional responses were restricted to the action of early stage factors, since they were not elicited by late developmental stage ZF5. Zebrafish maintains a remarkably higher ability than mammals to repair complex tissues after injury, including the heart and the central nervous system. For this reason, zebrafish embryos and their stem cells have been increasingly studied to unravel the molecular mechanisms underlying such regenerative potential, or to dissect evolutionary conserved pathways that may account for the regenerative action afforded by stem cells across different species. Transplantation of human cord blood-derived CD34+ (hCD34+) cells into pregastrulation zebrafish embryos revealed that these human cells cosegregated with presumptive zebrafish hemangioblasts, being involved in early development of the embryonic vasculature of the recipient 1. Conversely, postgastrulation transplant resulted in the recruitment of hCD34+ cells into developing vessels, where their biology was mainly shifted to a paracrine action 2. These human cells were also found to accelerate vascular repair in adult zebrafish, after transplantation in a model of vascular regeneration induced by caudal fin amputation 3. These observations indicate unexpected developmental skills in human stem/progenitor cells and show that the possibility to modulate their differentiating and/or paracrine repertoire within the zebrafish embryo is tightly dependent from the microenvironmental context in a developmental stage-dependent fashion. There is also growing evidence that embryonic development and tumorigenesis are closely correlated, as it can be inferred from the fact that they share several molecular pathways and regulatory molecules 4 , 5 , 6 , 7 , 8 , 9 , 10, and from the high tumorigenic risk associated with the acquirement of a pluripotent embryonic-like state, as it occurs during the preparation of human induced pluripotent stem cells 11 , 12. 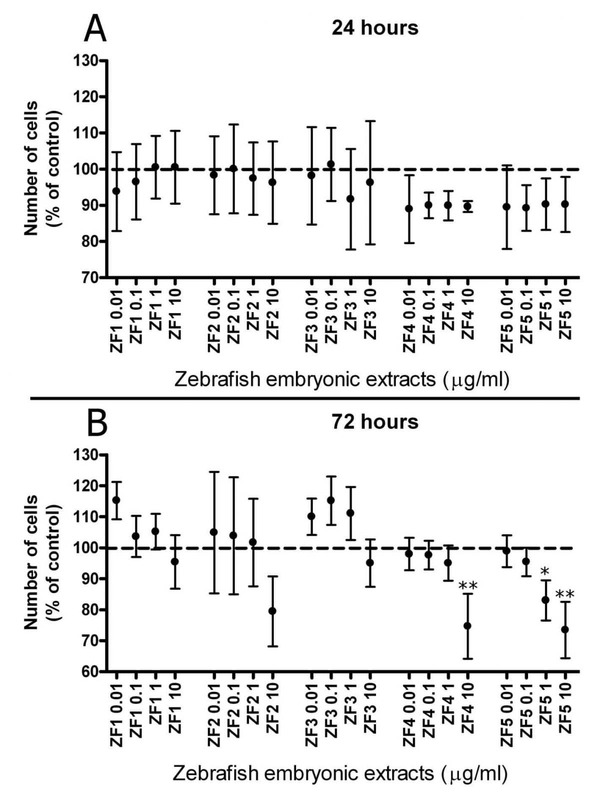 To this end, it has been shown that cell proliferation curves of different human cancer cell lines could be slowed down following exposure to zebrafish embryo extracts harvested during the stages of cell differentiation, with no significant antiproliferative effect in the presence of extracts taken from a merely duplicative stage 13 , 14 , 15 , 16 , 17. These observations also provide intriguing cues on the possibility to consider the tumorigenic process as a developmental deviation susceptible to control by regulators of cell differentiation, tracing a glimpse for future strategies of cancer (stem) cell reprogramming in the presence of differentiation stage factors produced by normal stem cells. Despite the growing body of knowledge on the biology of the zebrafish embryo and stem cells, including the chance to use their secretome to impact on cancer cell dynamics, comparatively little is known about the possibility to exploit the chemical milieu provided at different developmental stages by the zebrafish embryo to modulate the homeostasis of human stem cells. In the current study, we explored this novel perspective by exposing to zebrafish extracts, yielded at different developmental stages, human adipose-derived stem cells (hASCs), isolated from a microfractured fat tissue obtained with a novel non-enzymatic method and device (Lipogems) 18. We found that only the treatment with early developmental stage extracts was able to modulate the stem cell expression of multipotency, and elicited the transcriptional activation of two major mechanisms capable of counteracting stem cell senescence, including the gene expression of TERT, the catalytic subunit of telomerase, and the gene transcription of Bmi-1, a member of the Polycomb and Trithorax families group of repressors, acting as an essential factor for the self-renewal of adult stem cells, and as a key telomerase independent repressor of cell aging 19 , 20 , 21 , 22. Late, but not early developmental stage extracts induced a significant decrease in stem cell proliferation and the activation of pro-apoptotic signatures. According to the policies approved by the Institutional Review Boards for Human Studies local ethical committees, all tissue samples were obtained after informed consent. 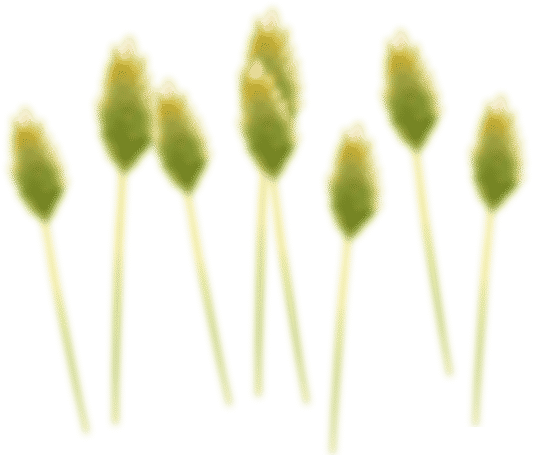 Human subcutaneous adipose tissue samples were obtained from lipoaspiration procedures and processed by using the Lipogems device, as previously described 23. A volume of 1.5 ml of Lipogems product has been seeded in a T75 flask precoated with human fibronectin (0.55 μg/cm2) (Sigma-Aldrich Co., St. Louis, MO, USA) and human collagen I-III (0.50 μg/cm2) (ABCell-Bio), cultured in α-MEM medium supplemented with 20% heat-inactivated FBS, antibiotics (200 units/ml penicillin, 100 μg/ml streptomycin), L-Glutamine (1%), and incubated at 37°C in a humidified atmosphere with 5% CO2. Medium has been changed every 4 days, but the Lipogems product was maintained in culture for two weeks, then it was eliminated. At confluence, released cells were detached by treatment with trypsin-EDTA (Sigma-Aldrich Co., St. Louis, MO, USA), and subcultured. 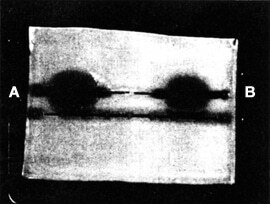 Experiments were performed at passage 3-5. 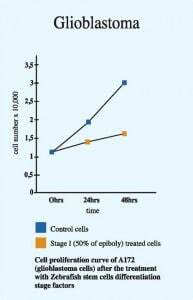 All cell cultures were maintained 24 hours in standard conditions before treatments. Zebrafish embryos were harvested and processed as previously described 24 at 5 different developmental stages: 50% epiboly [5 hours post fertilization (hpf)], tail bud (10 hpf), 5 somites (12 hpf), 20 somites (19 hpf) and pharyngula (24 hpf), referred to as ZF1, ZF2, ZF3, ZF4 and ZF5, respectively. The embryos were washed in distilled water for 60 sec at the density of 800 eggs/ml. Extracts were prepared in a glycero-alcoholic solution (60% glycerol, 5% ethanol, 0.12% potassium sorbate and 0.08% sodium benzoate) and stored at 4°C until use. A 0.5% dilution of glycero-alcoholic solution in α-MEM with complements was used as a control in all experiments. Protein content of each zebrafish embryo extract was determined with BCA protein assay kit, following the manufacturer’s instructions (Pierce Biotechnology, Rockford, IL, USA). A serial dilution of bovine serum albumin was used as standard, and NanoDrop (Nanodrop ND 1000 v.3.8.1, Wilmington, DE, USA) was used to determine the protein content of the extracts. hASCs at the density of 5,000 cells/cm2 were cultured in a 24-well plate and incubated for 24 hours prior to starting the treatments. Cells were treated with ZF1, ZF2, ZF3, ZF4, or ZF5, each at four different concentrations: 0.01, 0.1, 1, or 10 μg/ml. As controls, hASCs were treated with a 0.5% glycero-alcoholic solution. The number of viable cells was determined after 24 and 72 hours of treatment, using the 3-(4, 5-dimethylthiazol-2-yl)2, 5-diphenyl-tetrazolium bromide (MTT, Sigma-Aldrich Co., St. Louis, MO, USA) assay. 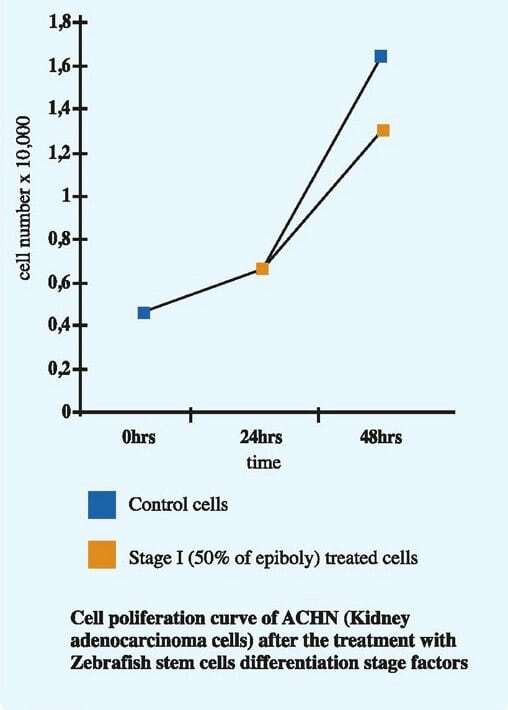 Briefly, at defined time points, cells were incubated for 3 hours with MTT in standard conditions (previously described) and subsequently lysed with a lysis buffer (90% iso-propanol, 10% TritonX-100 and 0.008% HCl). Absorbance of formazan salt was measured at 595 nm using a microplate reader (Opsys MR Microplate Reader; Dynex Technologies) and data were analyzed in GraphPad by one-way ANOVA followed by Dunnett’s post-hoc test. Each treatment was performed in triplicate, and the whole experiment was repeated in cells derived from at least three independent subjects. To determine caspase-3 activity in hASCs treated in the absence or presence of ZF extracts, 10,000 cells/well were seeded in a 96-well black clear-bottom plate and cultured for 24 hours in standard conditions. Cells were treated with ZF4, or ZF5 at 0.1, 1, or 10 μg/ml for 72 hours. hASCs treated with a 0.5% glycero-alcoholic solution were used as control cells. 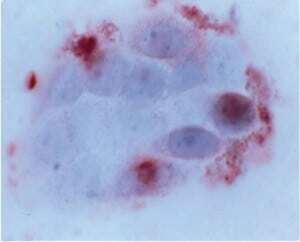 Caspase-3 activity was determined using the Caspase-3 Colorimetric In-Cell ELISA Kit (Pierce Biotechnology, Rockford, IL, USA), following the manufacturer’s instructions, including staining with Janus Green as whole cell stain. Each treatment was performed in duplicate, and the whole experiment was repeated in cells derived from three independent subjects. 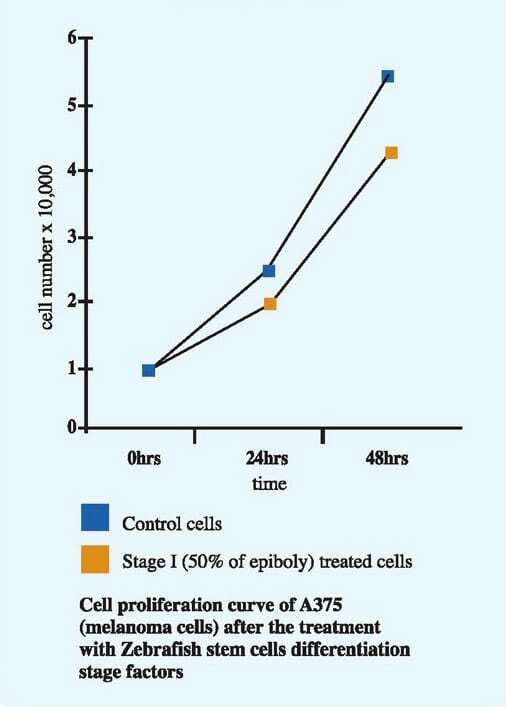 To further assess cell apoptosis, hASCs were seeded at a density of 7,000 cells/cm2 onto coverslips placed in 24-well plates and maintained in standard conditions for 24 hours before treatments. Cells were treated with ZF4, or ZF5 at 10 μg/ml or with 0.5% glycero-alcoholic solution in α-MEM with complements as controls. After 72 hours, cells were fixed for 20 min using 4% formaldehyde, stained with UltraCruz Mounting medium for fluorescence with DAPI (cell-permeable dye 4’,6-DAPI) (Santa Cruz Biotechnology, Inc., Santa Cruz, CA, USA), and examined using a fluorescence microscope (Leitz Orthoplan; Leica DFC300 FX Digital Color Camera) to visualize the chromatin condensation and/or fragmentation typical for apoptotic cells. Each treatment was performed in duplicate, and the whole experiment was repeated in cells derived from three independent subjects. At least 200 cells, from different areas of the coverslips, were subjected to visual score for each sample. hASCs were cultured in a 6-well plate at the density of 7,000 cells/cm2 and incubated for 24 hours before treatment. Cells were treated for 72 hours with the indicated ZF at 10 μg/ml or with 0.5% glycero-alcoholic solution in α-MEM with complements as a control. Each treatment was performed in duplicate, and the whole experiment was repeated in cells derived from three independent subjects. Total RNA was extracted using the RNeasy Mini Kit (QIAGEN, Valencia, CA, USA) following the manufacturer’s instructions. 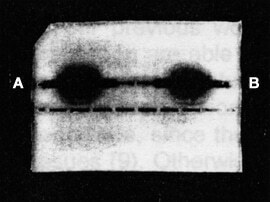 RNA was subjected to reverse transcription (RT) using the following conditions: 2 µg total RNA, Moloney murine leukaemia virus reverse-transcriptase (Promega, Madison, WI; used with companion buffer) 400 U, oligo dT-15 2.5 µM, Random Hexamers 2 µM, dNTPs 500 µM each. RT reaction was performed in a final volume of 50 µl for 60 min at 37°C. In order to verify that the RT reaction was successful, amplification of the human Glyceraldehyde 3-phosphate dehydrogenase (GAPDH) gene was performed, using specific primers (Table 1). GAPDH amplification was performed in a final volume of 25 µl, using the following conditions; 1 µl cDNA, 0.2 µM each primer, 12.5 µl BioMix Red (Bioline, Taunton, MA); initial denaturation for 2 min at 94°C; 25 cycles of 30 s at 94°C, 30 s at 61°C (annealing temperature of GAPDH primers), 30 s at 72°C followed by a final extension for 7 min at 72°C. 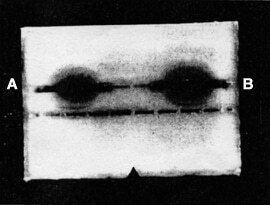 Amplicon detection was performed by gel electrophoresis in 1.5% agarose gel in TAE 1X (Merck) stained with 0.5 μg/ml Etidium Bromide (SIGMA) and visualized with UV-light. Quantitative real-time PCR was performed using an iCycler Thermal Cycler (Bio-Rad). Two μl cDNA were amplified in 50-μl reactions using Platinum Supermix UDG (Invitrogen), 200 nM each primer, 10 nM fluorescein (Bio-Rad), and Sybr Green. After an initial denaturation step at 94°C for 10 min, temperature cycling was initiated. Each cycle consisted of 94°C for 15 s, 55-59°C for 30 s and 60°C for 30 s, the fluorescence being read at the end of this step. The primers used were specific and spanning exons. Their list is reported in Table 1. To evaluate the quality of product of real-time PCR assays, melting curve analysis was performed after each assay. 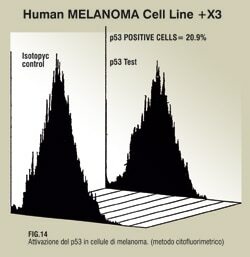 Relative expression was determined using the “delta-CT method”25 with hypoxanthine phosphoribosyltransferase 1 (HPRT1) as a reference gene. Data are presented as mean ± standard deviation. As indicated in the legend of each figure, the statistical analysis was determined by one-way ANOVA followed by Dunnett’s post-hoc test, or by two-tailed unpaired Student’s t test. A p value less than 0.05 was assumed as the limit of significance. We first investigated whether hASC exposure to embryo extracts collected at different developmental stages may differentially affect cell viability. 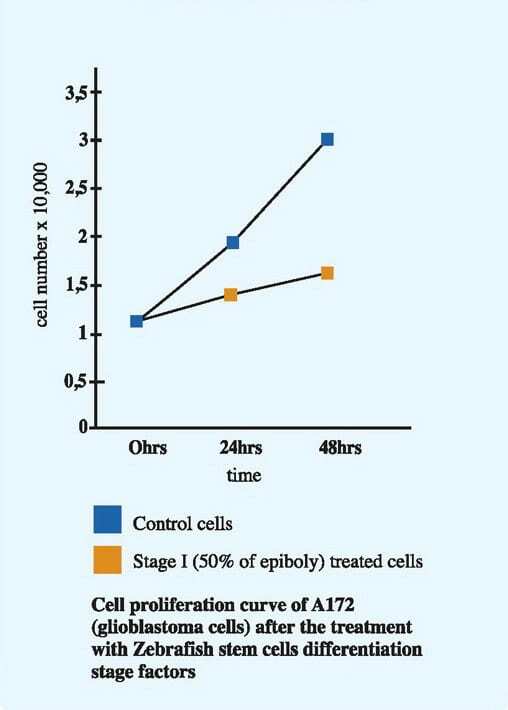 Cell culture in the presence of ZF4 or ZF5 only produced a slight decrease in the yield of viable cells after 24 hours (Figure 1, A), but resulted in a significant, dose-dependent reduction in the number of viable elements after 72 hours of exposure (Figure 1, B). 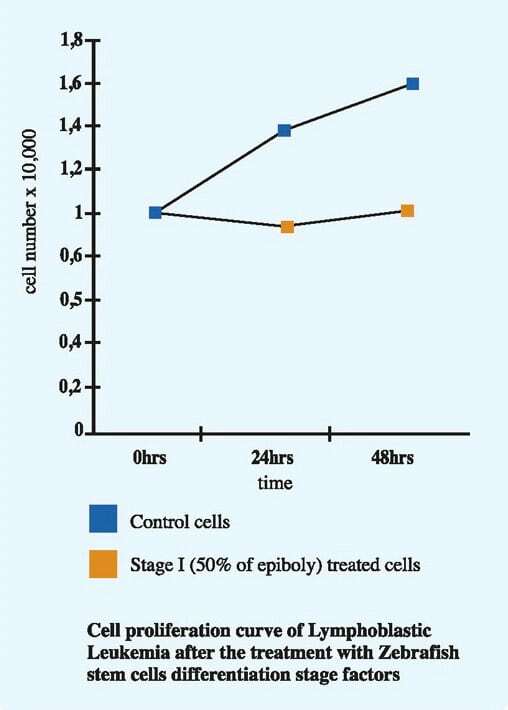 No effect on cell viability was detected after treatment for 24 or 72 hours with early developmental stage embryo extracts, including ZF1, ZF2 or ZF3 (Figure 1, A and B). 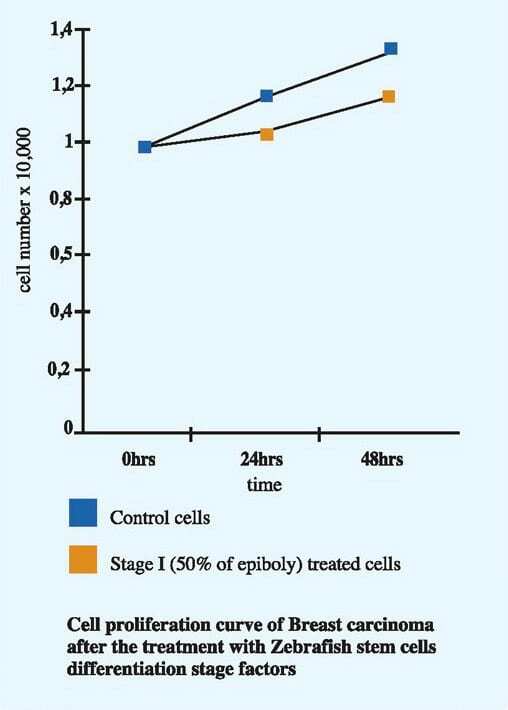 We next investigated whether the reduced cell viability observed after treatment with late developmental stage extracts may be due to an increase in cell apoptosis. 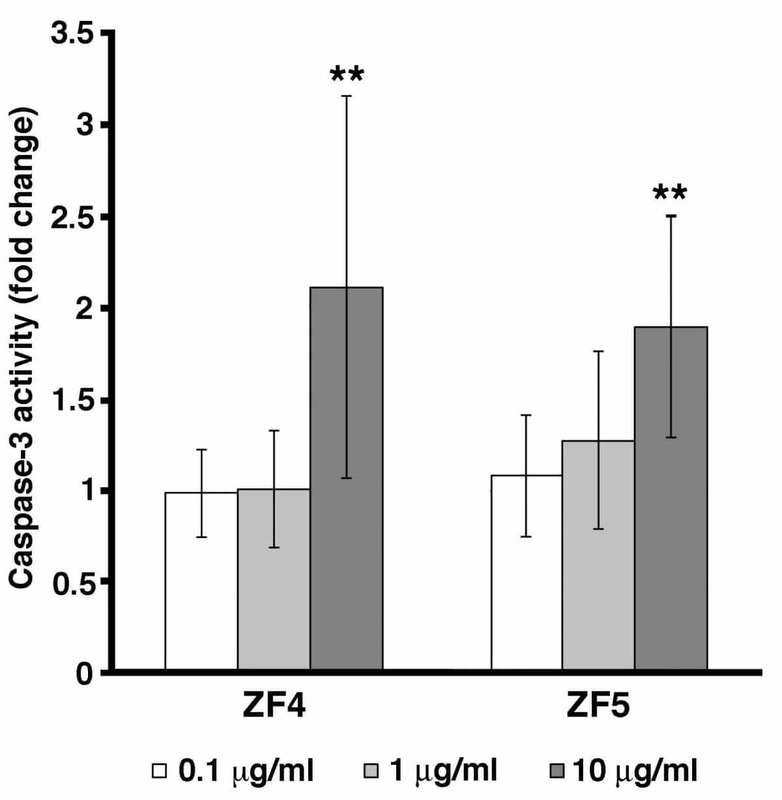 As shown in Figure 2, caspase-3 activity was significantly increased in cells treated with ZF4 or ZF5 at 10 μg/ml for 72 hours, as compared with the control cells. Caspase-3 activity was not affected by ZF1, ZF2 or ZF3 (not shown). The induction of an apoptotic trait following exposure to late developmental stage extracts was further inferred by the analysis of nuclear morphology showing evident chromatin condensation and increased percentage of apoptotic cells in the presence of 10 μg/ml ZF4 or ZF5, as compared to unexposed hASCs (Figure 3). Gene expression analysis revealed that hASC treatment with ZF1 for 72 hours enhanced Bax transcription (Figure 4, A) along with a downregulation in the expression of Bcl-2 mRNA (Figure 4, B), encoding a major prosurvival player 26. On the other hand, exposure to the late stage ZF5 did not affect significantly both Bax and Bcl-2 transcription (Figure 4, A and B). Real-time PCR shown that hASC treatment with the early developmental stage ZF1 for 72 hours was able to remarkably increase the transcription of Oct-4 and Sox-2 (Figure 5, A and B). The transcription of both genes was not affected by the late developmental stage ZF5 (Figure 5, A and B). Similar to Oct-4 and Sox-2 expression, the transcription of c-Myc was upregulated by ZF1, while being unaffected by ZF5 (Figure 5, C). Exposure of hASCs in the presence of ZF1 led to a consistent overexpression of the TERT gene, encoding the catalytic subunit of telomerase (Figure 6, A). The gene expression of Bmi-1, a transcriptional regulator involved in chromatin remodeling and acting as a telomerase-independent repressor of senescence, was also increased by ZF1 (Figure 6, B). Stem cell treatment with ZF5 did not modify TERT transcription, but significantly reduced Bmi-1 gene expression (Figure 6, A and B). In the last few years, a growing body of studies has been designed to exploit the rescuing potential of human mesenchymal stem cells (hMSCs) for the treatment of injured tissues. Although hMSCs have been isolated from many different tissues, their number is exiguous in all tissue sources. Meta-analysis of currently available cell therapy protocols shows that hMSCs are transplanted at high doses, between 10 and 400 million hMSCs per treatment (www.clinicaltrials.gov). The needs for expansion is particularly envisionable in protocols based on intravascular delivery of stem cells, that cannot be transplanted in form of tissue extracts (i.e. processed fat tissue). To fulfill these requirements, hMSCs undergo multiple passages and prolonged time in culture, usually 8-12 weeks. This approach has been shown to be both a risk of, and a well-established model for cell aging in vitro 27 , 28. Moreover, prolonged expansion impairs stem cell expression of pluripotency/multipotency, leading to a consistent decline in the multilineage repertoire and in the yield of differentiated cells. hASCs are now being used as an easy-to-harvest tool for cell therapy, and exhibit phenotypic and transcriptional profiles similar to hMSCs, as well as robust multilineage potential in vitro. Despite these attractive features, hASCs also undergo significant senescence and decline in multipotency expression after multiple passages in culture 29 , 30 , 31. These findings raise cautionary notes whenever long passaged hASCs are used in a clinical setting, and prompt the needs for novel approaches that may oppose senescence and optimize the expression of multipotency in such a promising tool for cell therapy. Here, we have exposed hASCs in the presence of zebrafish extracts harvested at different developmental stages, showing that only the late developmental stage extracts (ZF4 and 5) significantly decreased cell proliferation and viability. The ZF4/ZF5 effect involved the activation of a proapoptotic program, as shown by the derangement in nuclear morphology and the chromatin condensation, and by the activation of caspase-3. The finding that ZF5 failed to affect the transcription of Bax and Bcl-2, two major players in the modulation of apoptosis, suggests that apoptosis mediated by late stage developmental factors of zebrafish embryo is Bax-independent. This phenomenon has long been observed, as shown in the case of Bax-independent, caspase-3-related apoptosis induced by HGF in rat liver epithelial cells 32, and recently confirmed in both malignant and normal cells 33 , 34. Unlike ZF5, ZF1-3 did not induce hASC apoptosis, nor they decreased cell viability. This different behaviour may result from a fine equilibrium between ZF1-induced transcription of Oct-4, Sox-2, TERT, Bmi-1 and c-Myc, which have all been found to inhibit apoptotic pathways 35 , 36 , 37 , 38 , 39 40, and the increase in Bax/Bcl-2 mRNA ratio observed in ZF1-exposed hASCs. This hypothesis is consonant with the emerging view that crucial modulators of apoptotic pathways do not behave as on-off transcriptional specifiers, but they rather act as non-linear boosters of the expression of active genes, based upon the adjustments in the settings of critical thresholds resulting from the inventory of regulatory players in given cell populations 41. To this end, c-Myc has also been found to act as a positive regulator of apoptosis in human embryonic stem cells 42 , 43. Further studies are needed to trace a proteomic profiling of early and late developmental stage zebrafish extracts and possibly screen factors that could specifically induce caspase activation and the release of cytocrome-c in a Bax-dependent or -independent fashion. During zebrafish embryogenesis the expression of the pluripotency genes Pou5f1/Oct-4 and Sox-2 is timely regulated by defined factors that are mainly restricted to the early developmental pattern (during the first hpf) 44 , 45 , 46. The current data show that hASCs are able to selectively respond to factors restricted to the very early, but not late, developmental stages of zebrafish embryo with a transcriptional increase in the same two stemness-related genes necessary for the expression of family members of transcription factors that contribute to the maintenance of human stem cell pluripotency and self-renewal. We have previously shown that hASCs overexpressing Oct-4 and Sox-2 following exposure to an asymmetrically conveyed radioelectric field exhibited enhanced commitment towards cardiac, vascular, skeletal muscle, and neuronal lineages, with higher differentiating yields from Lipogems-derived hASCs than cells obtained from enzymatic digestion of the same lipoaspirate 47. Whether the currently observed increase of Oct-4 and Sox-2 in response to targeted zebrafish embryo extracts may also lead to enhanced multilineage commitment in vitro and rescuing potential in vivo remains to be established, and it is the subject of ongoing investigations. We show that the overexpression of stemness genes elicited by ZF1 was paralleled by an increase in the transcription of both Bmi-1 and TERT. The relevance of this observation is highlighted by the fact that both genes exert a major role in counteracting aging processes in vivo and cell senescence in vitro. Bmi-1 is emerging as a major aging repressor and is transcriptionally down-regulated when cells undergo replicative senescence 48 , 49 , 50. TERT opposes cell senescence by counteracting telomere shortening. Studies on brain development in mice have correlated a decrease in TERT expression and activity with decreased neuroblast proliferation, and differentiation 51. Moreover, it has been demonstrated that MSCs or bone marrow stromal stem cells lacking telomerase activity undergo premature cellular senescence, with a progressive decline in the expression of early mesenchymal stem cell markers 52. The maintenance of stemness gene expression is also important in the prevention of cell senescence. The singular loss of the Bright/Arid3A transcription factor, the founding member of the ARID family of transcriptions factors 53 , 54, which binds directly to the promoter/enhancer regions of Oct-4 and Sox-2 contributing to their repression in both mouse embryonic fibroblasts (MEFs) and mouse embryonic stem cells (ESCs), was found to bypass the cell senescene barrier, leading to MEF reprogramming 55. We show for the first time that human stem cell exposure to early developmental stage zebrafish embryo extracts may represent a useful tool to enhance stem cell expression of multipotency and activate both telomerase-dependent and -independent antagonists of cell senescence. This strategy did not require cumbersome gene manipulation through viral vector mediated gene transfer, or expensive synthetic chemistry. Further studies are in progress to investigate whether developmental stage extracts from zebrafish embryo may be used to revert cell senescence in hMSCs subjected to expansion for multiple passages in vitro, resuming their ability to differentiate along multiple lineages. This research was supported by Wartsila Italia Spa, Trieste, Italy; Ettore Sansavini Health Science Foundation, Italy; Ministero della Salute, Italy, Ricerca Finalizzata-Progetti Cellule Staminali 2008, Italy. The Foundation BLANCEFLOR Boncompagni Ludovisi, née Bildt; The C.M. Lerici Foundation. Conflict of Interests:The Authors declare that they have no conflict of interests. On the basis of the evidence that tumor development is suppressed by the embryonic microenvironment, some experiments using the factors taken from Zebrafish embryo at precise stages of cell differentiation were made. These experiments demonstrated a significant growth inhibition on different tumor cell lines in vitro. The observed mechanism of tumor growth inhibition is connected with the key-role cell cycle regulation molecules, such as p53 and pRb, which are modified by transcriptional or post-translational processes. Research on apoptosis and differentiation revealed that treatment with these factors induces caspase-3 with a p73 apoptotic-dependent pathway activation and a concurrent significant normalization of e-cadherin and beta-catenin ratio. Other experiments found a synergistic effect on the colon cancer proliferation curve after the concurrent treatment with these factors and 5-fluorouracil. Finally, a product prepared for human therapy demonstrated 19.8% regression and 16% stable disease in an open randomized clinical trial on intermediate-advanced hepatocellular carcinoma. The aims of this article is to recall in a synthetic way all the aforementioned researches to explain deeply the rationale of this approach of reprogramming cancer cells.